Thank you to Hypnobabies Instructor Julie Byers for sharing this amazing story with us! 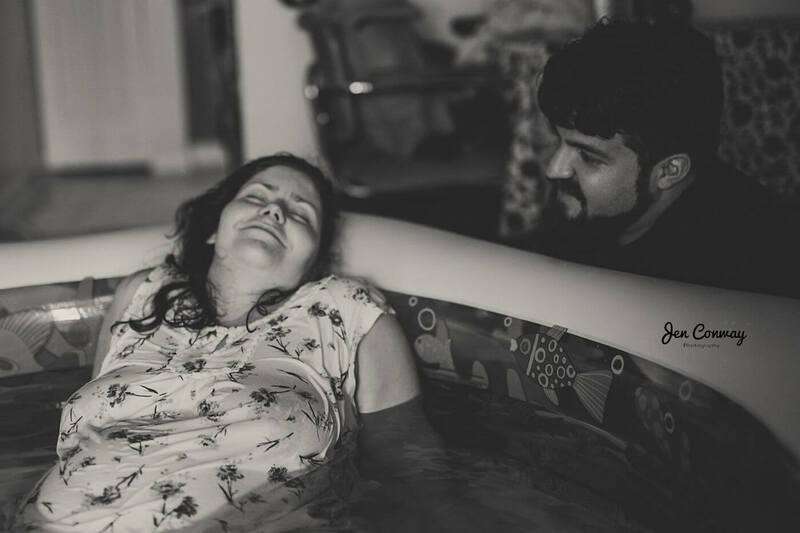 Before I even became pregnant, I was one of those women who was fascinated by the idea of a water birth. 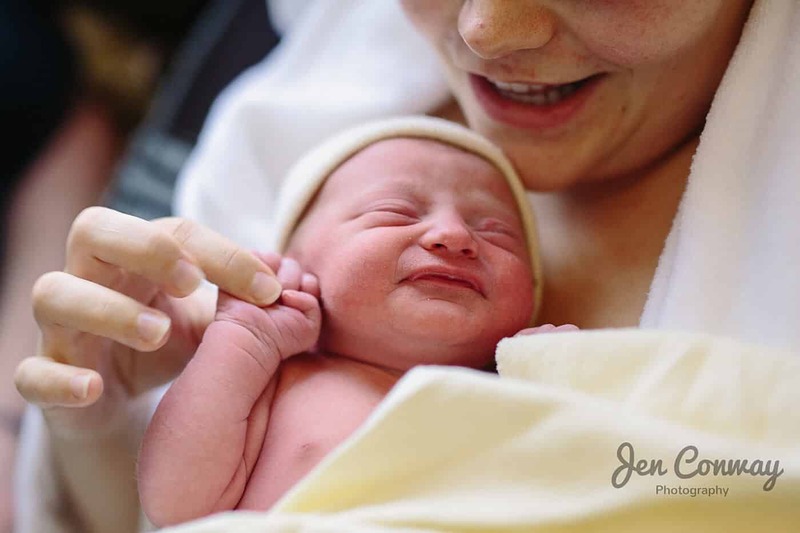 As I began researching the options for water birth here in Greenville, I stumbled upon Julie’s information for her Hypnobabies class at the Birth Expo in Spartanburg back in the spring. Our halfway mark approached and my husband and I enrolled in Julie’s class, having no idea it would empower me so much so that I would 180 my birth plan. We started attending her class, talking to other expecting families & meeting more and more natural/home birth professionals in the area. The more and more we learned, the more I thought about the idea of birthing at home, which seemed so wreckless to me initially. After reading Ina May’s Guide to Childbirth, interviewing a couple of stellar midwives and taking a tour of the hospital Labor & Delivery, we decided that home birth was hands down the way to go for our growing family. Everything was settled in my mind and we were going to have a great and healthy birthing. I envisioned a cow, trotting off into the dark woods to birth alone. Little did I know that my ideals and philosophies would, once more, be challenged for the better. To make a long story short, it truly “takes a village”. I woke up about 6am, as I often did in the final months to use the bathroom. But immediately felt some light pressure waves. Having had a false alarm the week prior, I didn’t think too much of it. Ten minutes later, I was still on the toilet, still feeling pressure waves and feeling the instinct the stay put. So I grabbed my trusty smart phone and started timing these little waves. Sure enough, they were four minutes apart and a little over a minute long. It was time to wake up my sweet husband and tell him that “I think I’m going into birthing time”. He timed my waves from the bedroom and agreed it was time to call our doula, Julie, who relaxingly said she’d come by in about an hour to check on me. By the time she arrived, our pressure waves were at two-ish minutes apart and about a minute each. Julie stayed with me every step of the way, gently attending to needs I didn’t even realize I had. I told her I wanted to have lunch with my baby. It was time to get into the tub shortly after. My husband, Kris and Julie ushered me through a very quick first phase. And then a very quick transformation. Julie was face to face with me, maintaining an encouraging and calm presence. My husband was rubbing my back through each pressure wave while juggling keeping hot water in the pool between each pressure wave. And our superwoman midwife, Carrie, was holding my hand with a smile on her face. All of this love and confidence spun me deep into my visceral side, making the “climb” up the mountain side nothing but scenic smooth terrain. Getting into the final stages of pushing was the most focused and happy experience of my life. It truly felt as though I had been ushered by all of these beautiful women and my caring husband up the side of a mountain, only for each of them to let go of my hand and allow me to simply enjoy the view. No one would push the beautiful baby girl out but me and I couldn’t have gotten to that mighty moment without everyone’s support leading up to it…and, of course, my Hypnobabies tracks playing loud and clear. After six pressure waves of this babies head bobbing in and out, Aurora’s head was finally visible to me. I looked down and laughed so hard that I could feel her bouncing around with each laugh, tickling my insides. One more (with all of my might) push and this beautiful baby was born. She layed on my chest for several moments before I remembered to check her gender. Kris announced she was a girl. Aurora Alyssa was born at 12:22 on Sunday afternoon, the 26th of October. She weighed 6 pounds, 11 ounces and was 19 inches tall. I stayed fully intact. Everything about her birthing was everything I had meditated on in my Hypnobabies practice. She was named after the dawn of the sun since her birth began at dawn. We ate lunch together that day.